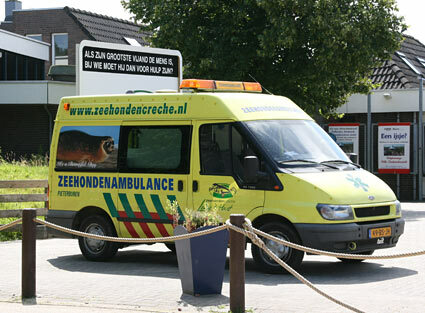 On Saturday we visited Zeehondencrèche Lenie ‘t Hart in the town of Pieterburen in the north of the Netherlands. 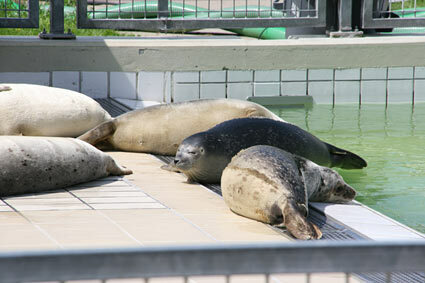 The seal rehabilitation and research center has been taking care of sick and injured seals since it was founded in 1971. They do really great work and need every support they can get. You can donate money or adopt a seal. The center is opened to the public every day of the year. 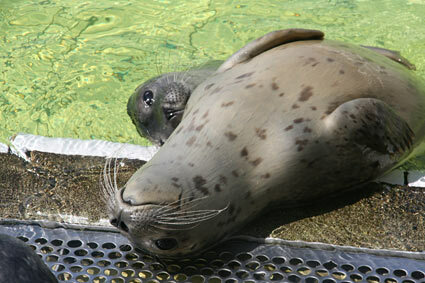 It has a large exhibition area with many informative displays about seals in general and the work they do at the center. You can view newly arrived seals in four quarantine areas, as well as several other containment areas inside (behind glass) or outside. 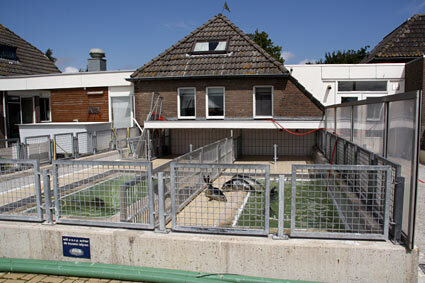 Behind the center is a large area with several pens with small pools where seals are rehabilitating. The center has evolved from a simple shelter for young seals to a scientific research-based seal hospital, with accompanying facilities such as quarantines, a laboratory, a chemist and modern research facilities. They care for hundreds of seals each year that have been injured by boats or fishing nets and those that have become victims of pollution. 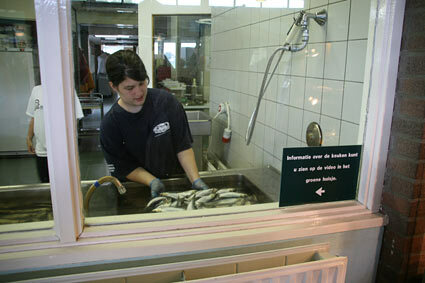 The center also rescues orphaned pups, which are called ‘huilers’ (‘cryers’) in Dutch. 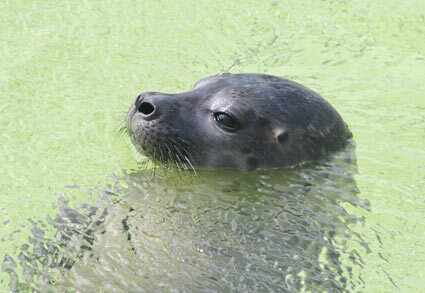 All rehabilitated seals are released into the wild after their rehabilitation period. 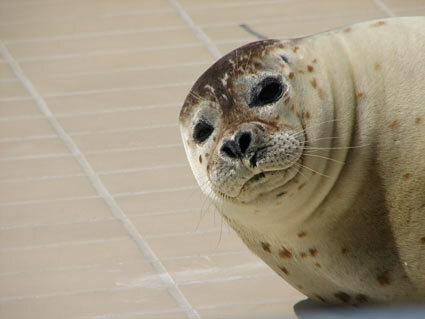 None of the seals remain in captivity and none of the seals are bred. 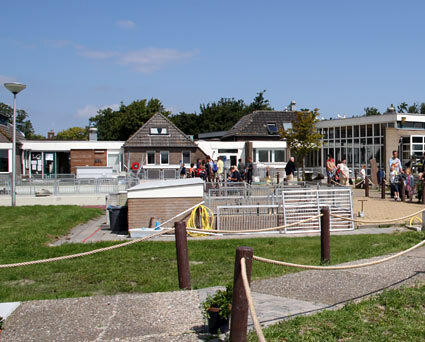 For more information visit the official website of Zeehondencrèche Lenie ‘t Hart. 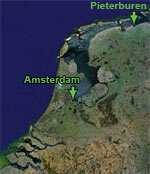 This entry was posted on Tuesday, July 31st, 2007 at 8:05 pm CET and is filed under Life in Holland, Nature	with tags pieterburen, seals, Travel. You can follow any responses to this entry through the RSS 2.0 feed. You can leave a response, or trackback from your own site. I am looking for a job as seals carer. Who can help me and who can give e-mail addess/phone number for employer…? Local (Virginia-USA) and national news wires have been telling about the 300 + ‘beached Seals’ at the Pieterburen Sanctuary. I was excited to hear about your preserve! In 1990, my husband and I visited the sanctuary on a trip to Europe. We had read about it and were very interested. Through the years, you have certainly been the epitomey of concern and help to these wonderful animals. I am SO GLAD to see you are still doing such a fine work with them. I was watching an Italian programme today 31st March and saw Mrs Hart asking for volunteers. I have wanted to volunteer since my visit in 2000. I applied a few years ago but was offered a job right after and had to stay home in Canada. 2 years ago I emailed but again but was told I could only go for a minimum of 6 weeks and unfortunately I cannot leave canada that long. My grandma and I are coming in the spring for a couple weeks and I was really hoping maybe I could volunteer for 2 or 3 days? It would be such an amazing experience to spend time with you helping and learning what you do. I’ve spent 14 years talking about coming out to your rehab. I understand if this is not possible. I am looking for a summer job as seal’s caretaker. I live in Spain and I am studying biological sciences at the university, but I would like to travel and work abroad this summer. If you are interested my email is joelpablos.ed@gmail.com.